Lauren “Ruthie” Treadway graduated from Salem College in May of 2012 with a major in Religion and a minor in History. Originally from Kingston, Tennessee and eventually hoping to have a career in archives or museums, Ruthie left the United States for Finland only a week after receiving her diploma. In this interview, she discusses her life in abroad, cultural and political differences and her experience with the Absentee Ballot for United States citizens traveling abroad. Q. What country are you currently living in? What are you doing there (career, traveling, etc)? A. I am living in Helsinki, Finland. I work as a full-time nanny for two families and teach their children English. Q. Why did you choose to go abroad after college? What made you choose Finland? A. I have always wanted to live abroad and figured that I should start while I was still young! I love to study about cultures and I found Finland’s to be intriguing. I chose Finland because I had spent time here previously and had fallen in love with this strange Scandinavian country, as well as with my Nepalese fiancée who lives here. Q. I know you previously worked and lived in Finland prior to your recent move. Could you talk about that experience? How did you find that position? A. 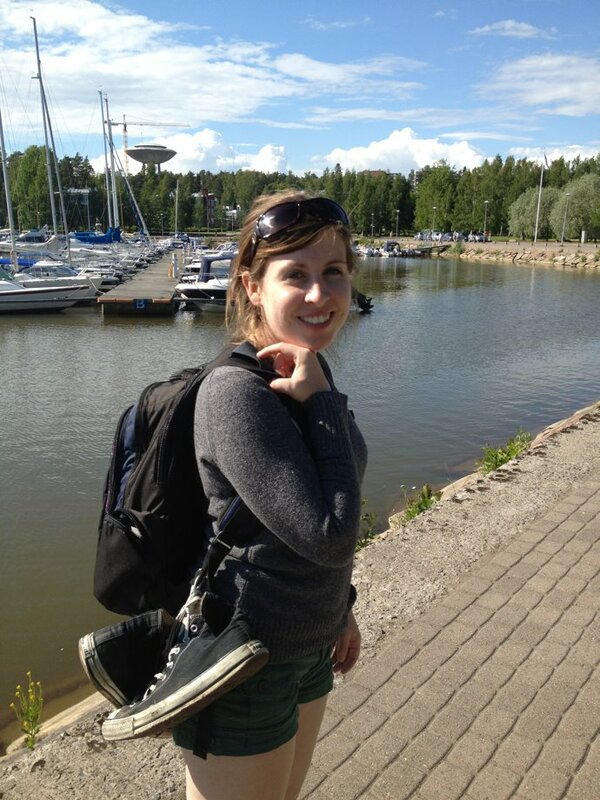 In the summer before my senior year at Salem, I lived in Finland for three months as an au pair. An au pair is basically a young person who travels to a foreign country to provide light childcare for a native family in exchange for a true cultural experience. I lived in a tiny village north of Helsinki with a Finnish family who lived in a centuries-old house and owned a strawberry farm. They had two amazing kids that I helped take care of and the parents really made me feel like I was a part of their family. I lived with them, traveled with them, and still talk to them on a regular basis. It was a great opportunity because it is a nearly free way to travel. You get a real experience of the country that you go to, not just a guide-book experience, and it is much easier to learn a foreign language when you live with people who speak that language. 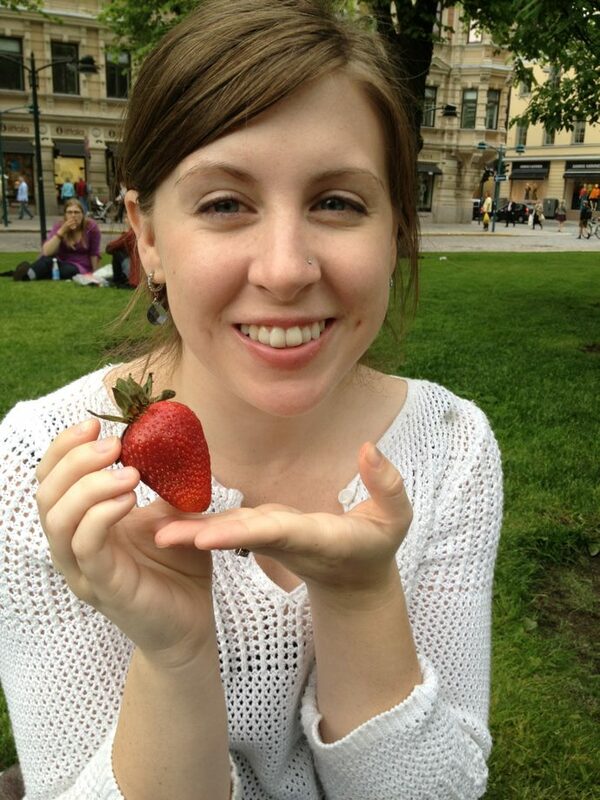 I used two websites which are very easy to use—greataupair.com and aupairworld.com. It was an experience that I would highly recommend to any Salem student who wants to travel, but who doesn’t have millions of dollars to spend on expensive study abroad programs! I also did my Jan Term my senior year in Finland and studied the Religions of Finland and how they coexist with the unique governmental policy. Q. Was it easy to get visas, etc to work and live in Finland? A. It was relatively easy. Americans can stay in Finland for up to 3 months with no visa. But when I moved back, I first had a secure a job and then start the application process, which took just over a month. There was a lot of paperwork, but ultimately it was much easier than I had expected. Q. How does working in Finland differ from working in the United States? A. Employees have a lot more benefits in Finland than in the US. I have a month of paid holiday per year as well as paid medical insurance. Mothers can have up to three years of maternity leave and fathers can have up to one year of paternity leave. Taxes are a little bit higher than in the US, but it is worth it because of all the benefits you receive. Q. In your experience, in what ways does the Finnish governmental/societal system differ from that of the United States? Which do you prefer? A. The Finnish government/societal system is completely different than that of the US. Education, healthcare, and a multitude of other things are subsidized by the government. So, although we have to pay a little bit more in taxes, we can greatly reap the benefits by going to college for free and not having to pay for doctor’s visits, etc. There is also very little crime in Finland because of the visible presence of the government. Also in Finland, because of the fairness of the societal system, almost everyone is a part of the “middle class”; there is a very tiny percentage of millionaires as well as homeless or poverty-stricken people. The playing field is more level here. In those ways I truly prefer the Finnish government/societal system because I believe that all people should have a chance at success, not just those who have prior privileges. Q. Did you have to deal with a language barrier? If so, how did you overcome it? A. I have had to deal with a language barrier, but it has not been too bad. I have learned a lot of Finnish and most Finns can understand at least a little bit of English; however, the official languages are Finnish and Swedish so it is rare for anything to be printed in languages other than those. The children that I have taken care of speak only Finnish though, so while I am formally teaching them English, they are actually teaching me a lot of Finnish. Q. What is your favorite thing about living in Finland? What is your least favorite thing? A. My favorite thing about living in Finland is the utter cleanness of the country: there is very little pollution, the water is pure, and recycling/conservation efforts are compulsory. I also like the freshness of the local foods such as Baltic sea salmon, lingonberries and cloudberries! My least favorite thing about Finland is the ridiculously cold weather (barely reaching 75 in summer and going as far down as -50 in the winter) and that there is no good candy! I have a major sweet tooth and am having a hard time living without my unhealthy American Skittles and Starbursts! Q. Do you have any interesting cultural anecdotes? Q. Is there anything you miss about living in the United States? A. I miss being surrounded by friends and family and I definitely miss the activism that was a part of daily life at Salem. And I honestly do miss speaking English. Q. What are your plans for the future? Do you want to stay in Finland? Are there any career opportunities for you? A. My plans are to stay in Finland for at least another year or two, but after that will likely move to Nepal or back to the United States. I don’t want to stay in Finland forever, but it is the place to be right now. Q. Can you talk a little about getting your international ballot to vote in the upcoming election? Was it a difficult process? What did it entail? How long did it take? A. It has proven to be a very difficult process and I am not pleased with the way it has turned out. It seemed easy enough to register online and the site lead me to believe that that was the main step; however, then you have to print and mail in the certificate they send you and then supposedly you receive your ballot in the mail. I registered online and sent my certificate, but have yet to receive my ballot, even though the website said to expect it within a few days. I just hope it gets here and back in time. Q. Why did you feel that it was important to participate? A. I feel that it is incredibly important to participate because although I live in Finland, America is still my home. I am still a citizen who has to abide by the laws of the US and it is important to me to vote for the candidates who have the same values that Salem instilled in me throughout mu four years. Q. In your experience, if this applicable, what do the Finnish people think of the United States and the upcoming election? A. In my experience, the Finnish people seem to think the US and the election process is something out of a Hollywood movie. I think that non-Americans have a hard time grasping how important election season is for us and many of them generally think we are a bit strange. There have been several occasions where I have met a Finnish person for the first time and within our first ten minutes of meeting they ask me questions like “So what do you really think about George Bush? We think he’s an idiot” or other similarly hilarious questions. I do generally find myself defending America to the Finns, despite which political party they side with, even if what I say sometimes goes against what I would say if I was speaking to someone in America. Q. Is there anything you would like to add about election/ballot process? A. I guess I would just really encourage all my Salem sisters to vote. It really is important and, from living abroad, I can tell you that America is a unique place and Americans do have the power to create change. So, exercise your right to vote, be passionate about what you believe in, and always get involved!